Bedbugs, the tiny mites, can leave serious impact on your health. The bugs bite the naked skin of humans while they are sleeping and feed on their blood. These insects were eradicated by using DDT, a powerful pesticide. Thereafter, use of DDT has been banned due to its high toxicity level and the problem of bedbugs surged once again. Nature – Bedbugs are apple-seed-sized insects of reddish brown colour. They are flat and oval in shape. They usually keep themselves hidden in the crevices and cracks of beds, headboards, box springs and bed frames during the day. They also hide under carpets near the baseboard, under loose wallpapers and peeling paints, in upholstered furniture seam and under electrical outlets and switchboards. Whether the environment is dirty or clean, they just need a warm host and hiding places. Even a pristine home can be a harbour for the bedbugs. It is difficult to differentiate bedbug bites from other insects’ bites. Red, itchy, arranged in a cluster or in rough line skin rashes can be the symptoms of bedbug bites. They usually don’t stay on human hosts once their meal is over, but they take refuge in luggage kept on the floor or near the floor. 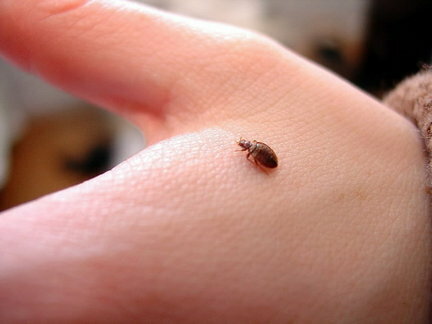 Therefore, if you are traveling, then bedbugs may get into your luggage and consequently you would bring them to home. Not all species of bedbugs feed on humans; there are some that prefer bats and birds as their hosts. These bugs often live in the eaves and attics. In case, the prey migrates, the insects would settle to feed on humans residing in that house. Preventions – Bedbugs can be best prevented by using mosquito netting and covering up naked skin. Covering up – Since these insects don’t usually hide under clothing, you can get rid of them by covering your skin. For example, instead of wearing a short, you can wear pajamas while on bed. Mosquito netting – According to some researches, bed nets can impregnate with pesticide named permethrin can help protecting sleepers from the bedbug bites. Nevertheless, this may induce the insects develop resistance against the pesticide. You may find more information on bedbug preventions on http://www.how-to-getridofbedbugs.com. Other preventive infestations may include used items, bats and birds and hotel furniture. Used items – You should always check used upholstered furniture and mattresses before you bring any to your house. Bats and birds – Remove all neighboring bats habitats and nests as they would serve as refuge for the notorious insects. Hotel furniture – Be careful while staying in a hotel room; don’t forget to check the mattress seams. Don’t keep your luggage on the carpet; rather keep in on dressers or tables. These are some factors that you must need to know to keep yourself from the bites of bedbugs. Author’s Bio – Anny Smith is a health industry blogger. She writes on leading health blogs and health communities like www.how-to-getridofbedbugs.com.